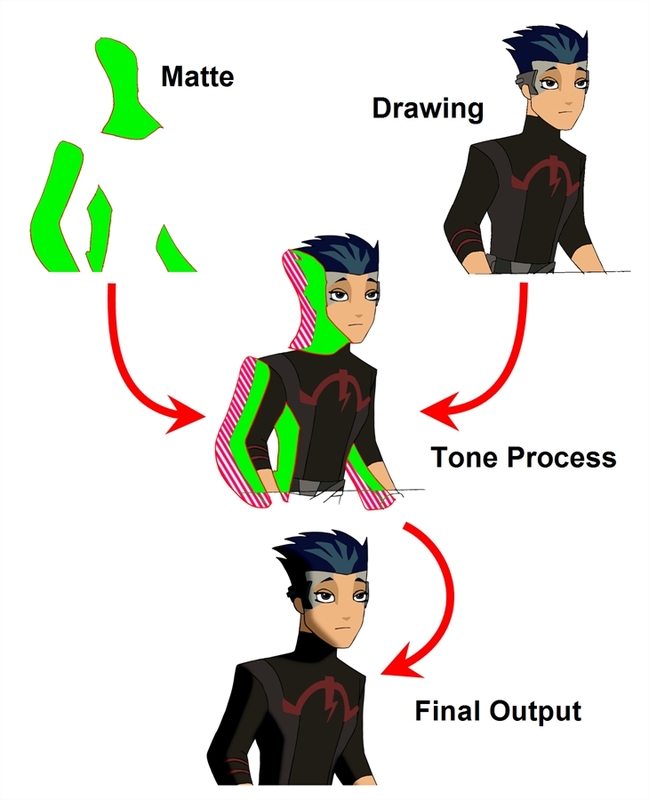 Toon Boom Harmony 10.3 Documentation: How Does an Effect Work? An effect always needs a drawing connection and sometime a matte or shape connection. A matte provides drawing information that will be used to determine the area where the effect will be applied on the drawing. The details and colours within the matte drawing do not matter, as the system will only use the shape and transparencies in it. A matte is also known as mask. The matte principle can be demonstrated on the Tone effect. The drawing layer is connected in the right port of the effect and the matte (mask) in the left port. The Tone effect then applies darker colours where the matte overlaps the image, blurs the tone edge, and finally clips out the extra tone zone outside of the drawing before outputting a final drawing with a tone. 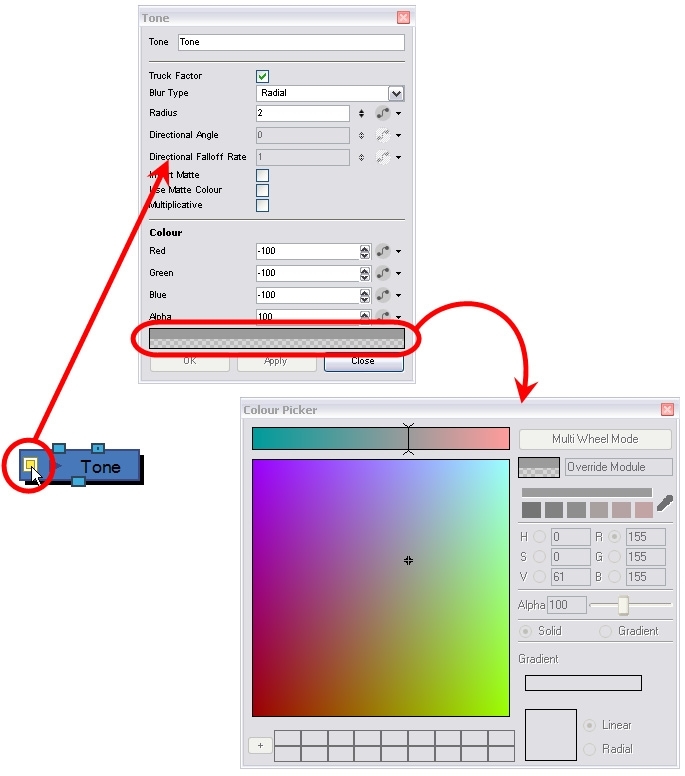 The tone's parameters can be adjusted in the Layer Properties view and any of them can be linked to a function column to be animated over time. This means that all of the effects can be customized.